Regardless of the industry, innovation is an inevitable part of life. From the automobile industry to the communication industry to how we relate with each other. Positive changes are unavoidable. In the dental industry, braces have been undergoing a subtle but constant level of change. From the rudimentary devices used around the 400 – 300 BC by Hippocrates and Aristotle to straighten teeth and fix dental defects, the device has been constantly modified in every century to become the metal train tracks that are commonplace today. Invisalign braces are devices that use nearly invisible braces to straighten out the teeth. These braces are quickly replacing the old conventional metal train tracks as Invisalign braces are seen as the subtler way to correct and improve the appearance of teeth. Invisalign is made from the thermoplastic material that is developed solely from a personal treatment plan. These aligners are created on a per individual basis. Each patient is given a series of custom, bespoke designed aligners to move their teeth in a sequence determined by the doctor. All the aligners in the series function individually, making slight adjustments to tooth position. After the aligners are positioned on the teeth, they begin to make the teeth shift gradually from the current position. And after two weeks, patients are moved to another set of aligners to continue the straightening process. The major difference between an Invisalign and the conventional metallic braces is that Invisalign is made up of a sequence of trays which can be taken on and off at will whilst metallic braces are made up of brackets and wires that are attached to the teeth that cannot be taken off for the duration of the treatment. This singular fact is what makes all the difference between the two devices as patients who use Invisalign do not have to restrict the consumption of any of their favorite meals. The aligners can simply be removed before meals and returned after meals. To aid hygiene, teeth should be brushed before and after every meal and before the aligners are reinserted. Invisalign aligners record better results when they are worn for about 20 – 22 hours every day and removed only for eating, flossing and brushing. They will not work if they are not worn. Another difference between conventional metallic braces and Invisalign aligners is that metallic braces have the capacity of allowing more complex teeth movements and they are seen as the superior treatment option for cases that require extractions or large movements for back teeth. Invisalign treatments also tend to have slower effects compared to braces. 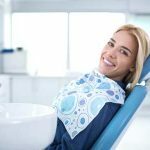 Most dentists usually schedule visits every four to seven weeks to ensure that the treatment is going as expected. Metallic bracesusually require more chair-side time. 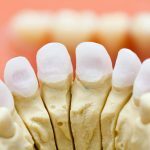 On an average, most treatments take between two months and two years to completely correct the teeth structure. Invisalign aligners are not as painful as metallic braces because there are no wire or brackets that can be rubbed together against the gums. Initially, the pressure and the attachments within your mouth would cause some discomfort and ulceration,but that quickly fades away as soon as you get used to the device. Some dentists note that some patients tend to get used to the pressure as it could be described as somewhat addictive. The aligners are also more expensive than the metallic braces. However, the difference is not always much. The costing is dependent on the number of weeks the treatment might span and should your treatment take less time to complete than the metallic braces; the Invisalign treatment would definitely cost less. It is important to discuss both treatments with your dentist before committing to any treatment plan. While the name Invisalign could suggest that the aligners were invisible, it turns out they are not totally invisible. However, they do not stick out like the conventional metallic braces. 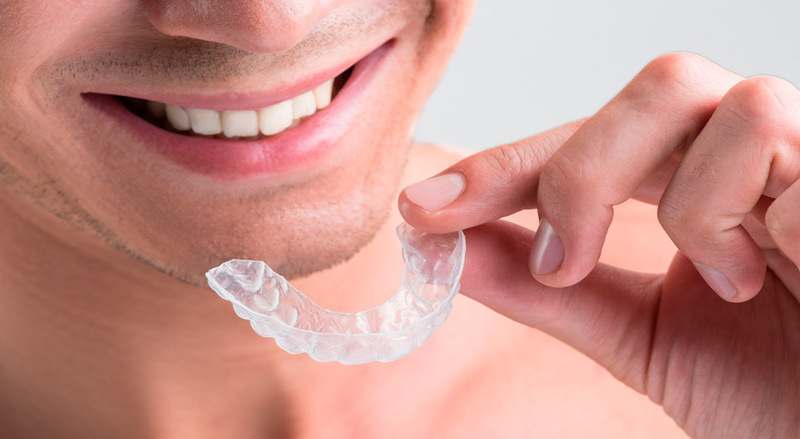 A lot of patients or prospects overlook the fact that after the Invisalign treatment has been completed, a retainer would still need to be worn every night to ensure that the teeth do not revert to their original positions. Commitment to this form of orthodontic treatment is a lifelong activity,and hence a retainer would need to be worn for the rest of one’s life in order to ensure that all the money, time and energy you must have expended would not be in vain. The aligners are very subtle,and most times people do know they are being worn. 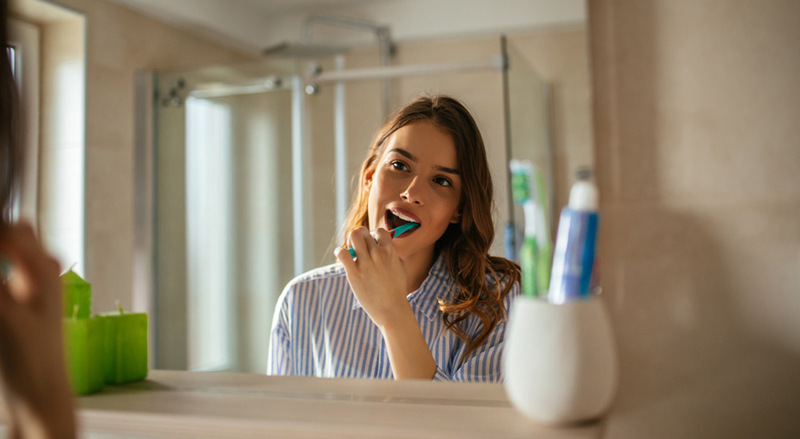 They help with maintaining a great level of oral hygiene as long as the aligners are removed before and after eating as well as taking it off to brush and floss. 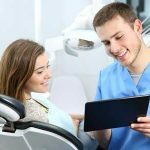 Also, before the treatment begins, it is possible to view virtual results and the appropriate plan, so you can have an idea of how your teeth will look once the treatment is complete. Before committing to any dental plan, it is important to speak to the right person. While both dentists and orthodontists provide Invisalign, orthodontists have an extra year or two of properly fixing and taking care of crooked teeth. 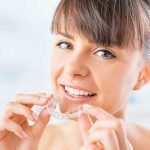 Deciding to go for an aligner is a huge decision that has the chance of affecting the appearance of an individual and also require some pretty big changes to one’s way of life. The aligners could also affect speech, eating and drinking habits, time and makeup routine, and it could even test your patience.